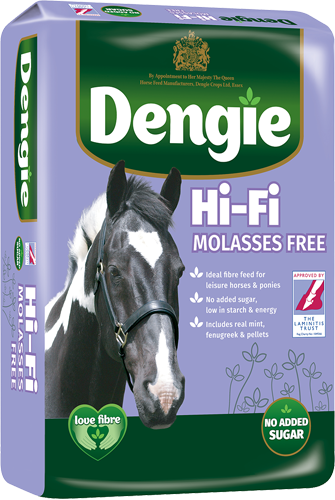 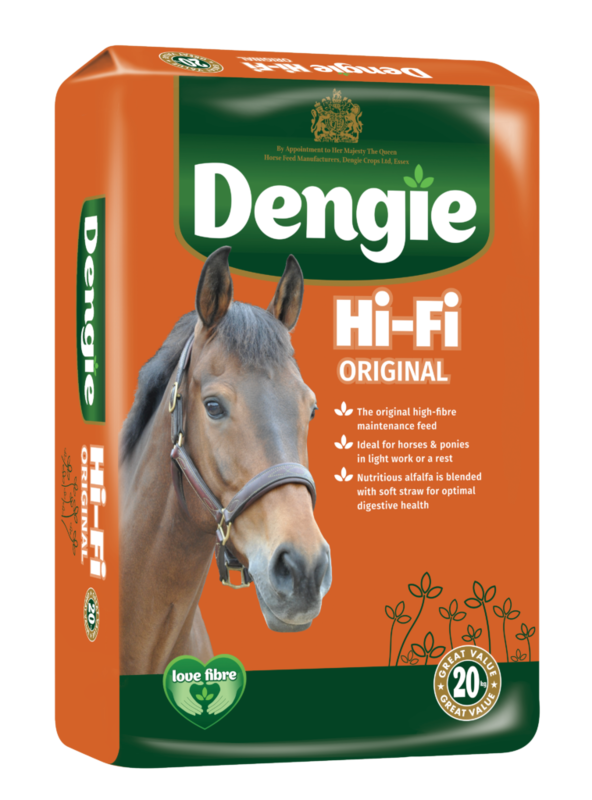 The Dengie Hi-Fi range of high-fibre feeds all contain alfalfa and have been formulated by our qualified nutritional experts to meet the requirements of leisure horses and ponies. 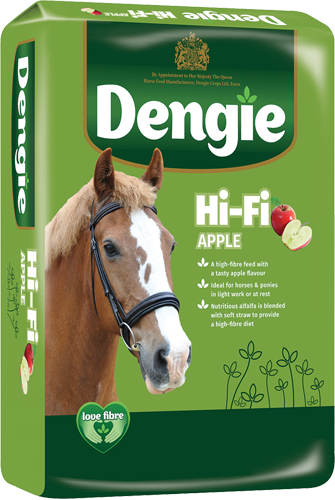 Alfalfa is mixed with other fibres, such as high-quality soft straw or grass, to provide a lower energy feed making it perfect for those that require fewer calories. 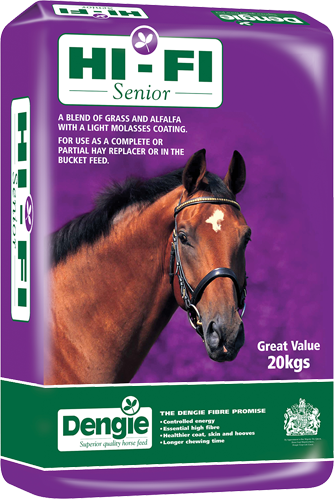 Naturally low in sugar and starch, alfalfa is proven to aid digestive health, improve hoof quality and give a lovely bloom to the coat. 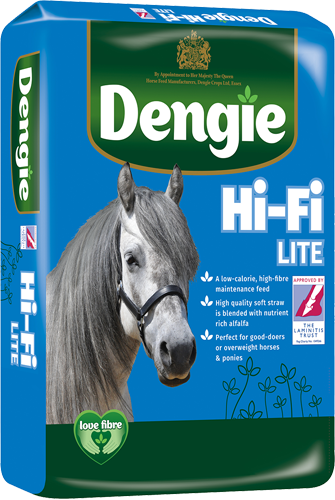 The original high-fibre maintenance feed for leisure horses and ponies.